I received this hat for Christmas 2016. Having a huge noggin, I've always had trouble finding any sort of hat that fit. 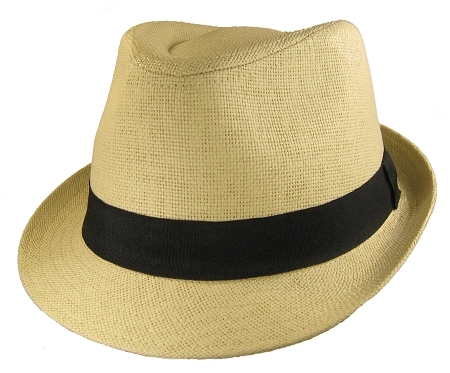 Straw Fedoras have been on my bucket list for sometime now and I was so excited to see that bigheadcaps.com now has them! It fits perfectly, was delivered quickly and is awesome quality per usual from you! I HIGHLY recommend this product and this website! This hat has been great. It is so hard to find a hat large enough for my head that to have the 4XL option was very beneficial and rare. The speed of delivery was also another feather in the cap for your company! This is a very similar style that you see in stores but it fits a big head. In fact I have a size 8 and the 4xl might be a little big. The quality seems very good but not something you want to put in.a suite case. I would buy again.